We’ve collected for you the most popular annual events to attend when living in Sydney. 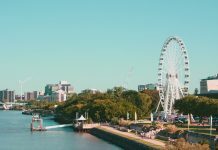 If you’re planning to stay in Australia for 1 year (or more), you’ll be lucky enough to experience all of them! 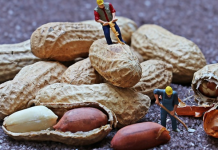 Plan your year ahead and enjoy! In January, Sydney turns into the capital of cultural performances. The event lasts for 3 weeks and offers you a wide choice of events including theatre plays, musicals, concerts, exhibitions, artistic workshops, live performances etc. To attend any of them you need to purchase a ticket, however, it’s definitely worth it. Check it out! 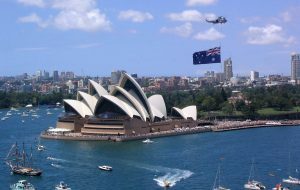 The 26th of January is celebrated nationally as Australia Day. If you’re in Sydney, join the celebration in Darling Harbour with fireworks and live music. 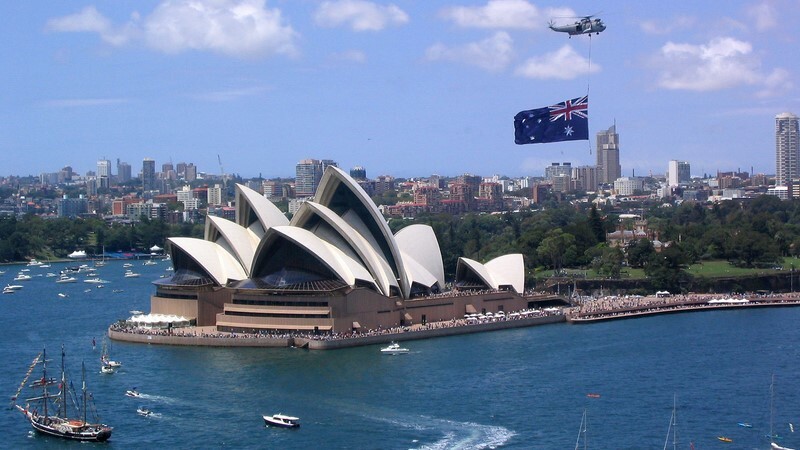 Australia Day is a commemoration of the arrival of the First Fleet from Great Britain. All Australians come together to have a look at their past and future achievements. The celebration in Sydney is definitely the biggest one across the country. Australia Day has been officially named a public holiday in 1994. It’s an annual parade to celebrate LGTBQI culture and communities. 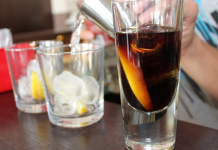 In 2018 it will be 40 years since this tradition commenced, so expect something special! 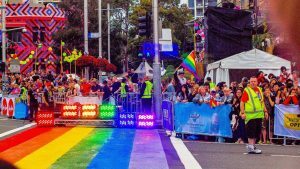 The parade is an iconic march for raising awareness and acceptance of LGTBQI in Australia, although Sydney is one of the cities where diversity is most welcome. The event has started in 1978 as a protest and nowadays it has become a colourful and joyful march. Come down to Oxford Street on 3 March 2018 to admire all the costumes the participants have prepared for us! 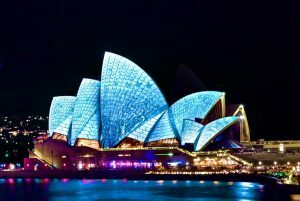 Do you know that you can also see Vivid Sydney from the water? 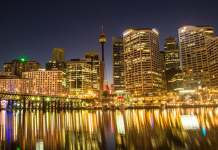 There are plenty of cruises leaving from Circular Quay that will take you for a memorable trip around Sydney Harbour. It’s the largest event of this kind in the world and you certainly mustn’t miss it! A great sports event for those that want to spend a fun day out. It’s a 14km run/walk from Hyde Park in the City to Bondi Beach. 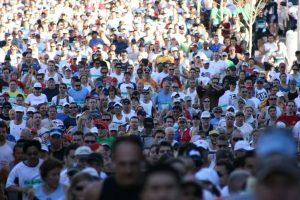 There are different entry categories and starting times depending on if you feel like a pro and want to run the whole distance or if you would rather prefer to take it easy. The race usually happens in August – a nice way to say goodbye to the winter! All foodies brace yourself! This pop up market offers music, drinks and the most importantly – a wide selection of Asian food. 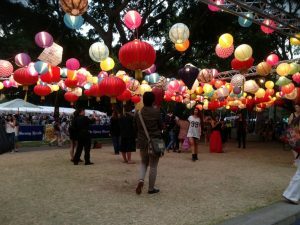 The stalls are spread over Hyde Park – entrance from Park St or Elizabeth St. Bear in mind that this is not a BYO event – you can’t bring any alcohol to the festival. 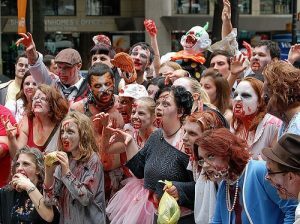 As Halloween is approaching, every year the city centre of Sydney turns into a zombie massacre, with thousands of people dragging their feet in a zombie style walk. Apart from being entertaining and reminding us that zombies are amongst us, the event has one more very important goal – to raise money for the Brain Foundation. This event is free, come and join! The famous Bondi to Tamarama coastal walk is now even more attractive! 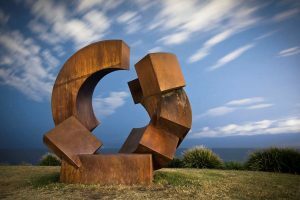 Every year, between October and November, this coastal walk turns into an amazing outdoor sculpture exhibition. 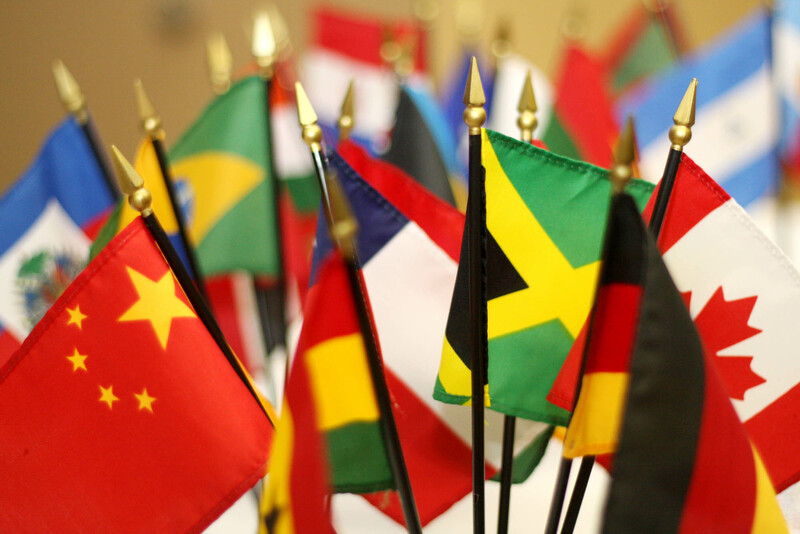 The artists are both local and international. This year we’re celebrating 21st anniversary of the event. What can you see there? Mostly surrealistic sculptures and of course amazing ocean views. Every year the event attracts around 500,000 visitors, therefore make sure to plan your visit well. There are plenty of buses going to Bondi from the City or Bondi Junction. You might also want to consider starting your walk from Coogee, which will be less crowded and I can assure you that you’ll experience some amazing views. I certainly would recommend doing the walk on a weekday if you’re free. Although this is not a Sydney based event, the Aussies around the whole country gather together to celebrate – and you should celebrate too! 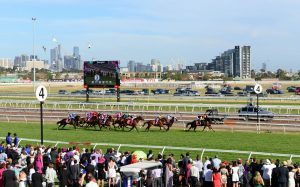 Melbourne Cup is the most popular and anticipated horse race. 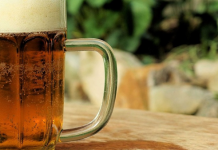 Every year, on the first Tuesday in November, at around 3.00 pm, the whole nation stops to watch the race, normally using this opportunity to grab a beer at a nearby pub. Join your friends and colleagues on that day and make sure to bet on your favourite horse. The end of the race doesn’t mean that the celebration ends, rather the contrary. This iconic yacht race takes place on Boxing Day. 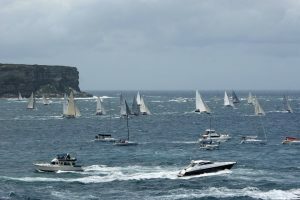 The race starts from Sydney and ends in Hobart, Tasmania, hosted by the Cruising Yacht Club of Australia in cooperation with Royal Yacht Club of Tasmania. It’s considered to be one of the most difficult races since its inception in 1945. It will surely impress you, even if you’re not a big sailor. Where to catch the best view? Along the coast from Rushcutters Bay, through Double Bay, Rose Bay and Watsons Bay. 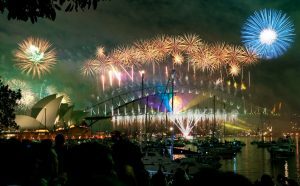 And the last but not least – New Year’s Eve, the largest fireworks show in Australia and one of the largest in the world! Thousands of people gather around Sydney on that special night to admire fireworks in the Harbour. Make sure to download a map of the best spots where to watch the show, before you plan your night. The city has also designated special areas where you cannot enter without paying. Nevertheless, there are plenty of free spots that will offer you a great view for free. Make sure to arrive earlier to book the best spot!